On August 17th we'll be having a gig at The Hug And Pint to bid farewell to a wonderful 3 years of LP Records. I'll be putting on a very fun night of live music, dynamite vinyl giveaways and extreme levels of patter. 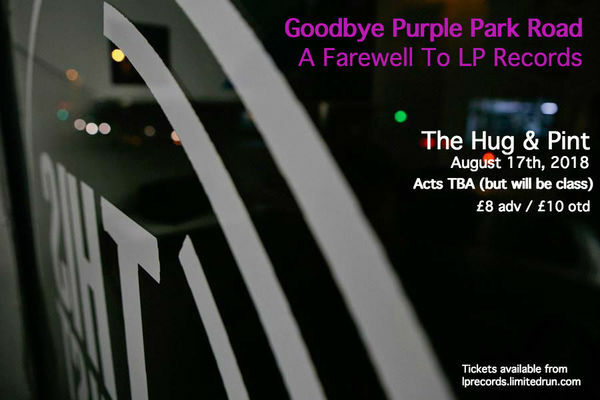 I won't be grafting you for overpriced vinyl anymore, so please do indulge me one last time for what should be an excellent night and a chance to say a fond farewell. Acts tba and secret atm. Can confirm will be quality but ok.
Would be great to see some regular faces, yous have all been a joy to serve #sonically these last few years and all have great taste and wonderful patter. Remember just the shop is going, stick with us for exciting stuff in the future and new music hings. I have a duty of care to this place now.